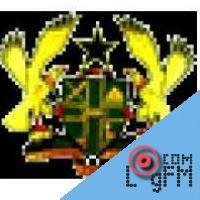 Description: The first non-government development-oriented community radio station in Ghana, Radio Ada, went on the air on 1 February 1999, after a period of test broadcasting. The station, supported under a UNESCO/IPDC project, is based in Ada, about 80 km south-east of Accra, the national capital. From there, using a 350-watt transmitter and a 150-foot tower, Radio Ada covers a radius of approximately 80 km and broadcasts exclusively in the local language (Dangme) to an estimated population of 500,000. The target audience is mainly engaged in farming and fishing. Over 65% are illiterate and many speak only Dangme. Radio Ada's mission is to support the development aspirations and objectives of the Dangme people, give a voice to the voiceless, sustain the growth of Dangme culture, and encourage, promote and contribute to informed dialogue and reflective action. The station is on the air 17 hours daily. All programmes are locally originated, produced and presented by volunteers from the community trained by the station. The programmes include three daily news bulletins comprising local items collected by volunteer stringers, relevant national and international news; market-day reports from the markets in the coverage area; and a daily 11-minute magazine designed "to bring the world into the village." Also broadcast are half-hour, weekly programmes produced in the towns and villages of the coverage area with the active participation of the main occupational groups - fishmongers, farmers, fishermen, traders, drivers. Other programmes the radio station broadcasts are weekly programmes on the environment, health, literacy education and culture, community-level debates, religious services, children’s programmes, inter-schools quizzes, serialised readings of local literature, traditional music, traditional story and joke telling, as well as spontaneous slapstick dramas. Radio Ada has won a loyal following among its predominantly illiterate audience, indicating the primary importance of community radio stations. I cannot wait to hear you online. I am so so proud of you . I take my hat out for you Radio Ada because you have have shown a true spirit of giving. Advertising: . At LogFm.com you can listen to any of the 45,000 radio stations online. We have made it easy for you to find your favorite radio, listen to the music you like, find the best new songs, listen to the latest news, etc. Simply type the station name in the search box and enjoy your choice. Listen to the radio online at LogFm.com. Our E-mail: info@logfm.com. Live Ada. Rock and pop music, to listen to the latest news online.All rights reserved. 2009-2019 © LogFm.com.